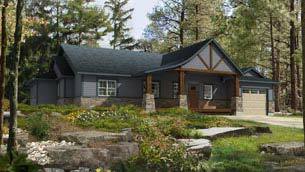 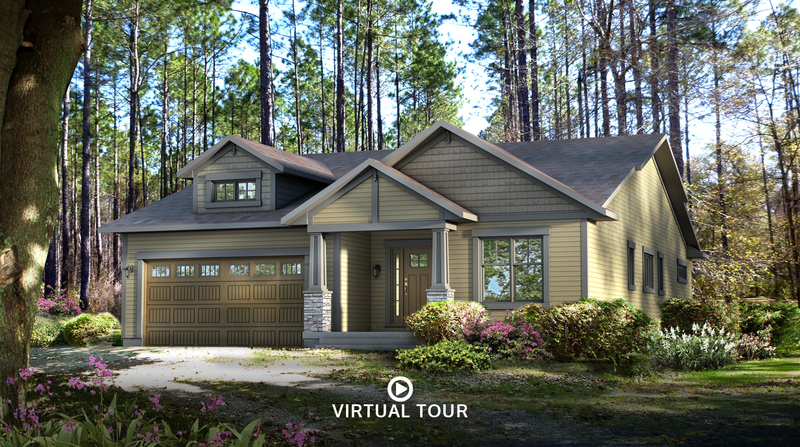 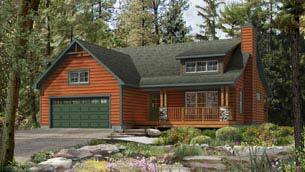 This bungalow is the ideal size and has the popular craftsman style exterior. 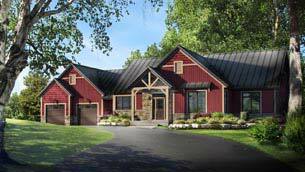 Covered porches are found at the front entry and the rear of the house. 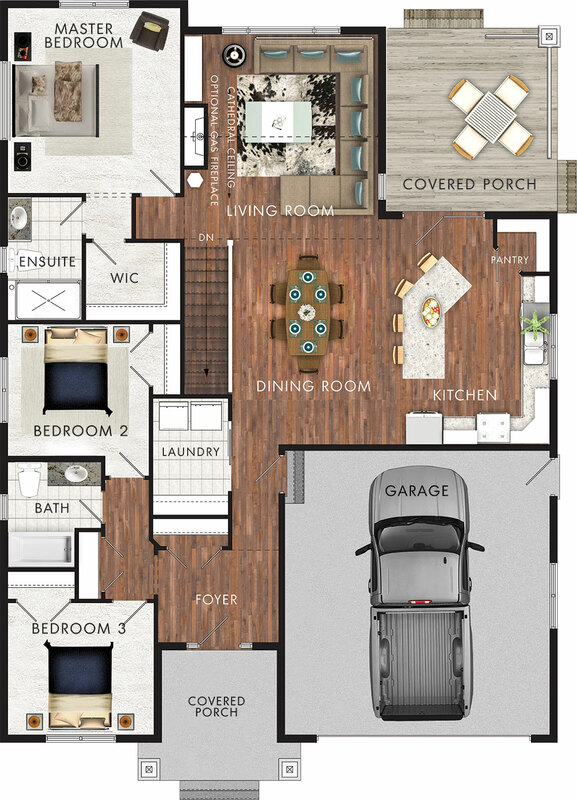 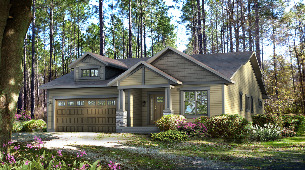 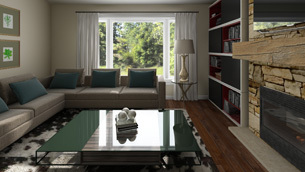 All 1596 square feet of the Brookside is evenly distributed between living and sleeping space. 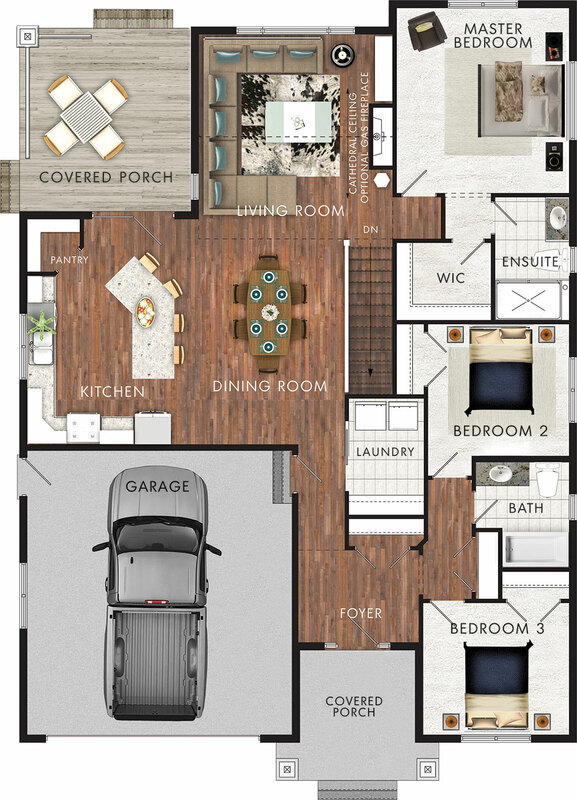 The two bedrooms near the front of the house have close access to a large linen closet and a three-piece bathroom. 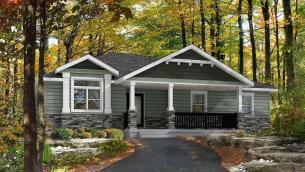 In the master bedroom of course there is a private ensuite and sizeable closet. 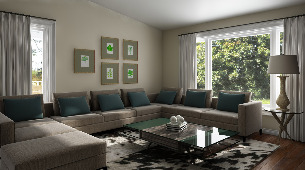 In the main living areas of the house, the open concept design is very enjoyable. 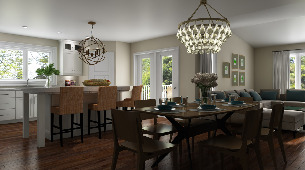 The kitchen and dining area are the perfect layout for hosting dinner parties. 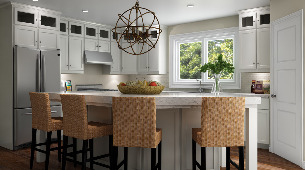 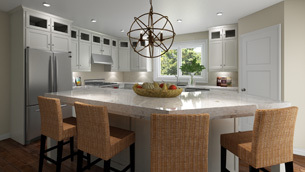 A large prep island also allows for extra seating. 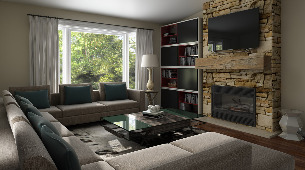 The living room is open to the rest of the space, yet it is still a cozy space that would be complete with a fireplace.